Facebook is facing trouble ahead. 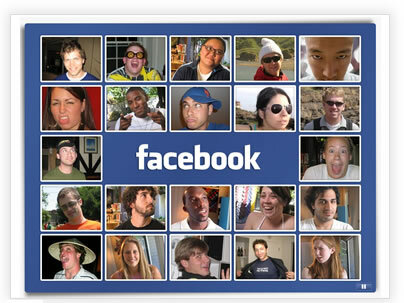 IPO issues aside, Facebook seems to be losing one of its primary and most indicative of all demographics: teenagers. More than eight years after Facebook’s inception, its mass appeal has drawn older crowds who add their kids as Facebook friends. That development could be tarnishing the site’s “cool factor” in the eyes of teens, said Jake Katz, chief architect at YPulse. Forget the teenagers, I’m ready to find another place to hang out myself. Too many moving parts, timelines, events, networks, blah, blah, blah. What do you think is the next evolution of social networks? What will the social network of tomorrow look like? If I knew the answer to that question, I’d be having my own IPO (heh, heh). Facebook is getting problematic, but it’s still solving more problems than it creates for most of us. Where will the kids go next? It’ll probably take a younger man than me–or Mark Zuckerberg–to answer that. While I think Facebook is at the forefront of adaptability and introducing changes to keep from getting outdated, every social media site has an expiration date. Once teens stop using it, it eventually will die out. I feel like predicting Facebook’s doom has become a fad in and of itself. However, I see Facebook as a means to an end and more likely to replace phone numbers and email. I could see future generations possibly reverting the tech obsessed trend and going offline to connect. You might be right. I could see an entire generation going offline to be away from their parents. The teens I know prefer Twitter. They can shout out their observations and post pictures, but don’t have to interact with anyone. Twitter is less of a social network and more of a social billboard. Never thought of Twitter that way, but it’s a great descriptor. Thanks for stopping by and commenting. Guest is right. My daughter and her friends largely bypass Facebook for Twitter. As for me, Facebook is too much work navigating through the junk that some people consider essential to share (many have given chain mail a second lease on life through this venue) and I get tired of blocking just so I can read and see real news. As a result, I only occasionally use it. I joined Twitter 4 years ago, but just never got around to using it. I guess I don’t feel every thought I have necessarily needs to be shared.